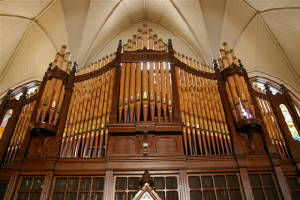 Trinity-St. Stephen's is steeped in a long tradition of fine music-making. Quality worship music is an essential part of our overall ministry. Our church is blessed to have a sanctuary second-to-none in terms of its beauty, its acoustics, and its unencumbered sight lines. It will seat in excess of 800 people. In the Spring 2013 we launched a concert series for our community that will more fully utilize this exceptional space. The series has been succinctly titled "Music at Trinity". 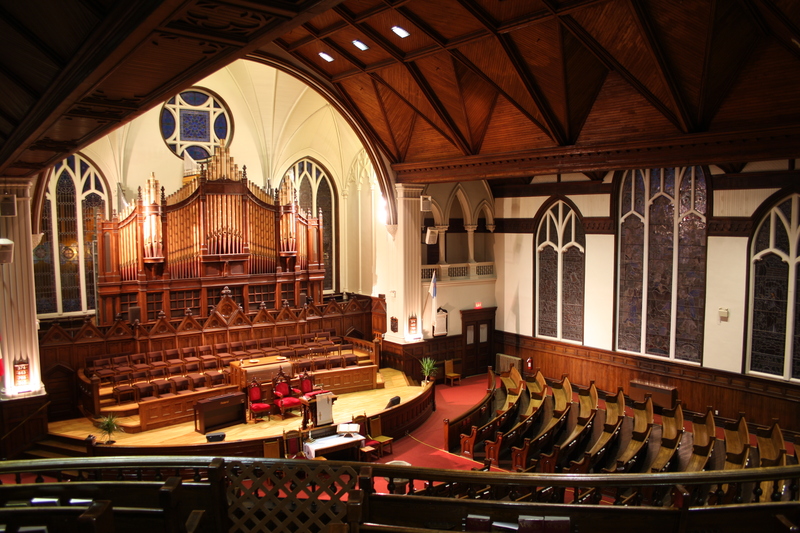 Advertising will clearly indicate that "Trinity-St. Stephen's United Church" is the home of and host for the series. We began modestly with 3 concerts in 2013. We also intend, over time, to provide a varied concert offering: classical, contemporary, folk, blues, choral, instrumental, etc. We want the series to have broad community appeal while always respecting the "sanctuary" environment in which these concerts will be held. 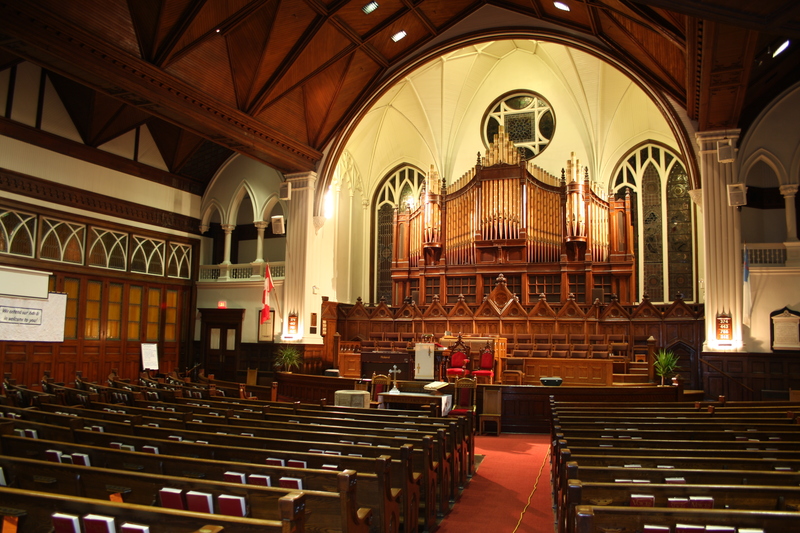 Any net revenues from these events will be dedicated to ensuring that this space at Trinity-St. Stephen's United Church is well maintained and will remain available to this congregation and to the Amherst area community for many years to come! Trinity-St. Stephen’s is most grateful to the Family and Friends of the late Margaret (Margie) J. MacMaster for the recent (Feb. ‘14) generous donation of a new C7 Concert Grand Piano for the sanctuary. This piano will be a most welcome addition to Sunday worship and to the on-going music ministry of this church. It will also be invaluable in attracting many concert artists who require such an instrument and who may be interested in performing in our Music at Trinity Concert Series. This wonderful instrument will be dedicated at morning worship on Sunday, June 1, 2014. Music at Trinity is pleased to announce a "Spring Choir Festival" in May 2014. Two distinguished Canadian choirs will each perform separate concerts as part of our annual Music at Trinity Concert Series. The concerts will be held within a week of each other in mid-May. Pro Coro, described as "One of Canada's best professional choirs", will perform Tuesday, May 13th. The Toronto Children's Chorus will perform the following Tuesday, May 20th. Please continue to check this site for more information as "Festival" plans unfold. You may also with to check each choir's website for much more detail. Thanks for dropping by. We look forward to your support for these exciting concerts.